Jackie Chan's High-Kicking '80s Cop Movies Are Back! 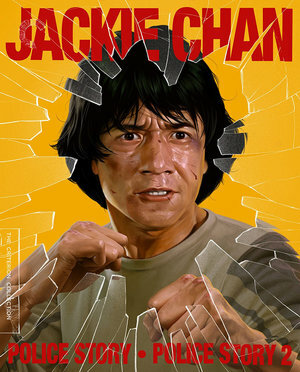 Re-releases of Police Story and Police Story 2 show writer-director-star Jackie Chan in his finest fighting style -- along with his usual over mugging for the camera. Sporting the same shaggy mop of hair and the slightly bemused look of a sleepy John Cusack, Jackie Chan rolls into 1985's Police Story like some kid fresh out of the Peking Opera School and not a pro who had already been working in the Hong Kong film industry for over 20 years. It's part of the reason why attempts in the previous decade to turn him into the new Bruce Lee never quite worked. Lee had an otherworldly, feline fierceness that he couldn't hide if he tried; whereas Chan projected a quality somewhere between teddy bear and underdog, which made his sudden eruptions of martial-arts skill all the more surprising. When Lee took out his opponents, his preternatural confidence produced an effect that was thrilling but somewhat preordained. When Chan emerged victorious from a brawl, he usually seemed surprised that things actually turned out his way. 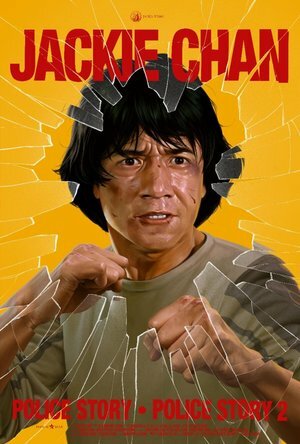 One of the reasons that Police Story—which is getting a remastered re-release, along with its 1988 sequel from Janus Films (on Blu-ray from Criterion 30 April 2019) blew away Asian audiences was because of its ability to channel Chan's quality as an everyman who emerges out of any number of scrapes by the skin of his teeth. It certainly had little to do with the plot. Like any number of cop movies cluttering screens in America at the time, it was built in rickety fashion around a supercilious drug lord villain, Chu Tao (Yuen Chor) who arrogantly mocks the efforts of good honest cops like Ka Kui (Chan) to bring him in. But no matter how many action scenes that Chan dives, flips, and hurtles through here like he was in a high-octane Looney Tunes short, his basic modesty carries the day. .The rambunctious and virtuosic action scenes come to a quick stop, then, for the plot machinery to wheeze into action. A good deal of Police Story is squandered on following Ka Kui getting into one tight spot after another like a put-upon sitcom dad. First his straight-arrow commander is furious with him for all the damage caused. Then his girlfriend May (a passive turn from Maggie Cheung, shamefully not given a chance to throw a single punch or kick) suspects him of having an affair with gangster moll Selina (Brigitte Lin), who he's assigned to protect. At one point, Ka Kui steps in animal dung, and to wipe it off ends up doing a quick improvised moonwalk. Well, it was the '80s. By the time Chan the director cranks up the gears for the final showdown, the movie's supply of so-so situation comedy has just about exhausted even his capacity for over-the-top mugging. Fortunately, it's a doozy. Set in one of Hong Kong's vertical shopping malls, it makes full use of the soaring atrium spaces and glass displays as Ka Kui leaps and twirls and lays waste to a sequence of hapless henchmen. Without even pretending that the whole movie wasn't all leading up to this moment, Ka Kui leaps out into the atrium and slides several stories down a long string of lights and smashes through a glass ceiling. In case you missed the stunt the first time, the editors cut immediately after to show it again from a different angle. And then yet again, like a football broadcast going replay crazy. The first release from Chan's production company, Police Story was a big hit, spawning its own series. Three years later came the first sequel. Again, the storyline is nothing much. The gangster overlord is out of prison and highly smug about it. Meanwhile, somebody is calling in bomb threats on local businesses. Having been demoted to traffic cop for his insolence ("You're too agile for your own good!" his commander shouts) Ka Kui is stuck at first on the sidelines. Eventually, of course, he's back in it, once the powers that be decide that only a highly agile supercop like Ka Kui can get them out of this jamb. There are a few neatly executed moments, such as a Buster Keaton-esque scene with Ka Kui on getting tangled up in phone cords. But Police Story 2 spends far too much time trafficking in lazy comedy—a henchman who keeps getting his glasses smashed, a whole elevator sequence designed around a fart joke. Fortunately, it embraces the decade with abandon, insistently bleating a synth soundtrack, staging a final showdown in a barrel-filled fireworks warehouse that's like a live-action game of Donkey Kong, and giving Ka Kui a band of cool-kid cop sidekicks (Special Surveillance Squad!) whose high hair and snappy duds are fit for 21 Jump Street night at Danceteria. The movie also ups the ante in a batch of action sequences that see Chan darting and weaving around his assailants with a furious, almost weightless speed. A few years later, Chan would be on to better things, like the less shambolic sequel Supercop and his career masterpiece, Drunken Master II. These box office hits are not quite on the level of those audacious later works. But at a time when action cinema has generally tossed out clever choreography in favor of pummeling overkill, they are reminders of what an action star can be when he shows that anyone can throw a punch but few can make it funny.